More than a billion of us travel between countries each year, and many times more than that travel within their own country. We travel for a variety of purposes, (including, leisure, business, health, sport, visiting friends and relatives, and religion) and often have limited information about the culture and environment we are to visit. We travel to places affected by natural hazards such as extreme weather events, hurricanes, floods, fires, earthquakes, tsunamis and volcanoes, or man-made emergencies such as political unrest or acts of terrorism. In addition, as travellers, we can be affected by transportation accidents on land, sea and in the air, and chemical and toxic releases that spread rapidly across populated areas, and health related events such as the Pandemic (H1N1) 2009, Avian Flu and MERS. Indeed, the very tourism industry itself, that encourages such widescale movement of people around the world, can even be an unwitting factor in amplifying some of these risks. During an emergency there is a tendency amongst emergency responders to regard tourists solely as ‘yet more victims’ to be managed by the emergency services rather than people who may have different needs to the affected local population. More importantly, the tourism sector itself is regarded as needing only to recover its potential national income capacity rather than as a major partner in any response. In reality, travel and tourism is a key contributor to the tasks of risk reduction, disaster response and recovery and should thus be incorporated as a way of achieving more in an economy with with less. A dramatic nightime view of a serious fire in tower accommodation. Consider this: Both the tourism sector and emergency managers plan and operate at an international, national, regional and local level. In both cases their activities affect, and indeed depend upon, the safety of local communities. They are both faced with situations, foreseen and unforeseen, that can, by definition, overwhelm their capacity using everyday resources. As a result, they both require their operations and logistics to be integrated in as efficient a way as possible across communities at the regional, national, and even international levels. In times of emergency they both depend heavily upon the same limited resources including hospitals, medical teams, transportation, evacuation centres, temporary shelters, food and water distribution points, and both contribute to, and are affected by the impacts of ongoing national and local development initiatives. After any disaster strikes, tourists and affected national citizens all need to communicate with their families, have access to information, and be offered immediate food, drink, medical aid and shelter. Research has shown that food, drink and medical aid for tourists needs to be culturally appropriate (therefore different? ), and information needs to be accessible in relevant languages. Moreover tourists require replacement identity documentation to be provided in conjunction with their embassies. Tourists are, in effect, paying guests that expect a level of service from local providers. The expereince of disaster management in recent years indicates that there may be inadvertent legacies for the way emergency planners think about handling the needs of tourists during disasters. Although tourists and affected national citizens all need to be evacuated from an affected area to a sheltered place of safety, such shelter, in the case of tourists, is not required any longer than is necessary; for the tourists this is prior to being repatriated to their home countries, whereas for affected national citizens it may be for as long as it takes for their homes to be repaired or rebuilt. A screen shot from the Crisis Management Exercise Tool (CMET) used on an I-Pad. Tourism emergency planners (both public and private sector) tend to limit the focus of their planning to a specific site: a headquarters building, hotel complex, event location, entertainment hall, world heritage site, airport, or railway station. Such plans are usually described as ‘on-site’ plans, focused on a specific on-site location (usually with fixed boundaries), within which the relevant tourism organisation has a duty of care. These ‘on-site’ plans are written to meet organisational emergency preparedness and response requirements and are also often required to meet wider national and/or international minimum standards. Airport owners, for example, are required to meet the minimum standards set by IATA and ICAO when designing their on-site plans for responding to an air emergency at an airport. Similarly, hotel owners may be required to meet national and regional health and safety requirements as part of their emergency planning. However, when emergency services are called in to respond to situations it is frequently because that emergency situation has overwhelmed the capacity of a tourism company’s on-site staff to handle. For example, a situation occurs ‘on site’ which overwhelms the on-site team and therefore requires the intervention of off-site responders such as the emergency services to take control. Alternatively, a situation could take place away from the immediate tourism company’s location, but be of such magnitude that it impacts on the tourism company’s ability to continue to deliver its services and manage its own people and affairs. In this latter example, the requirement for ‘off-site’ planning will often include liaison with local and national government emergency planners and essential services to better understand the risks and hazards that affect the wider environment in which the tourism company operates as well as their likelihood, potential impact upon the business. 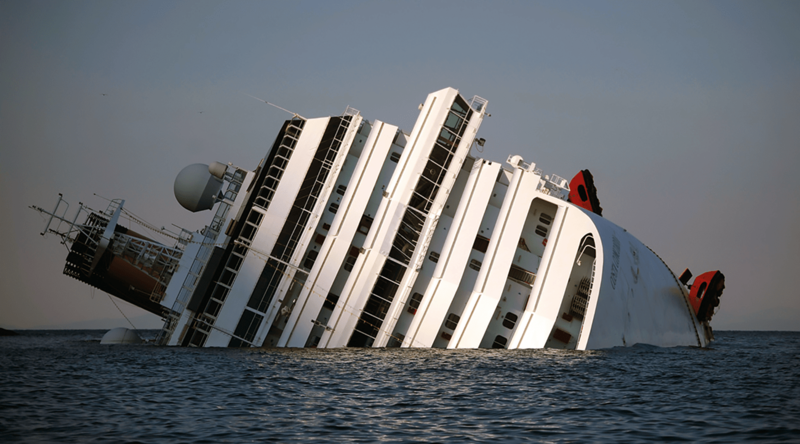 Costa Concordia off the coast of Italy, near the shore of the Island of Giglio. 14 January 2014. “The CMT requires some external support, (for example from the emergency services, local authorities etc), however remains as the main coordinator for the emergency affecting the company”. This hotel company has identified that a Category 2 event will require some external support from off-site, but they believe that they will remain in overall control of their business activity and large parts of the response. In their plan, therefore, they appoint a member of their staff to act as the company liaison officer dealing specifically with the emergency services. 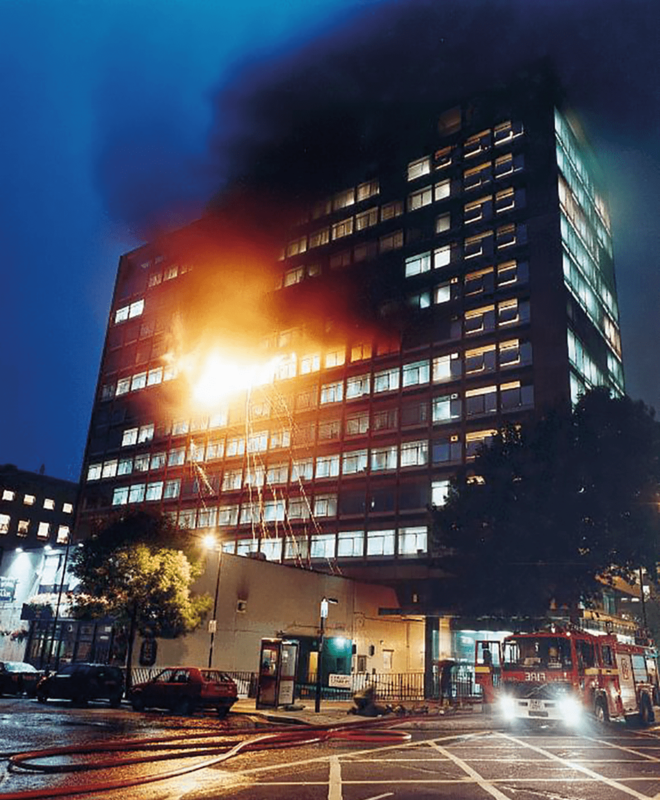 For example, in the event of a fire an estates representative would be tasked with liaising with the fire services to ensure that the arriving teams are briefed on any additional hazards (e.g. fuel or gas tanks), the location of stop-valves, fire hydrant points are clearly pointed out and the most appropriate locations to establish a command team and other ancillary activities are identified. The hotel company aim is for the Category 2 event to be managed in such a way as to assist the activities of the emergency services whilst minimizing any impact on the hotel’s business continuity and reputation. Liaising with the medical services to identify injured members of staff or clients who have been evacuated and to which hospital and ward. Liaising with emergency services and local authorities and overseas embassies, to determine which uninjured members of staff and clients have been taken to which reception centre(s) and at which location . Liaising with emergency services, and overseas embassies, to assist in the identification of members of staff and clients who may have been killed or severely injured. Liaising with families of staff and clients who make calls to the hotel company enquiring after their relatives. Richard Gordon is the Director of Bournemouth University Disaster Management Centre (BUDMC). Richard has provided disaster management consultancy, project management and training to government ministries, national security forces, media, industry, emergency services and non-governmental organisations. His work covers the full spectrum of disaster management including integrated planning, command and control systems, risk assessment, early warning, community based risk reduction, and communication and situational awareness. 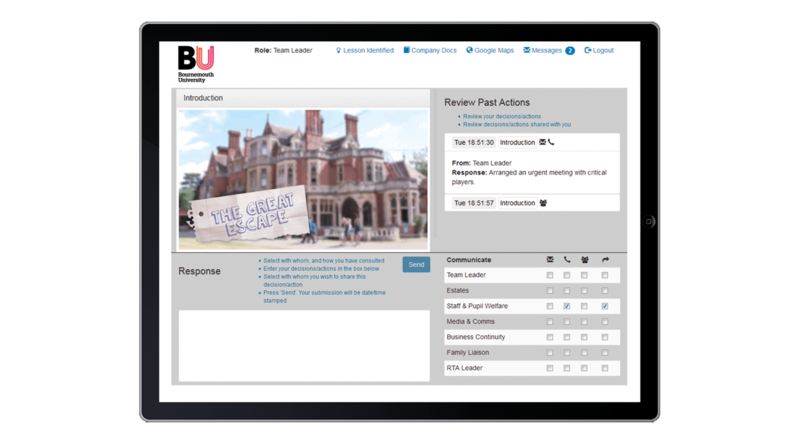 Bournemouth University Disaster Management Centre (BUDMC) has developed an international reputation for excellence in the provision of disaster management education, training and technical assistance. We are renowned for our highly interactive, overseas ‘in-country’ training programmes tackling a range of issues within disaster and crisis management. BUDMC creates bespoke training courses, tailored to clients’ needs, delivered worldwide, providing technical assistance to governments and organisations. We assist in the development of strategic plans relating to risk reduction, response and recovery. Drawing upon UK experience and national governments around the world, BUDMC fosters global best practice and develops cohesion between government departments, emergency services, the military, tourism, aid agencies and more.